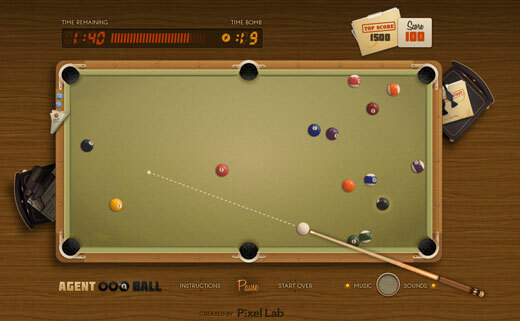 Agent 008 Ball is a timed pool game by Pixel Lab in which you play Agent 008 and are tasked with preventing the terrorist organization CHALK from winning the International Billiards Tournament. It’s dangerously addictive, too. Click through at your own peril.